Welcome to Day 10, if you are just arriving for the first time all the details and the linkup can be found HERE. Today I have SugarPea Designs as our sponsor as well as some of the girls on the design team as my guests! SugarPea Designs is offering a $25 gift certificate to their store to one lucky winner! So many ways to get chances for winning--by following the blog hop each day and commenting on posts or by participating and making tags of your own. These are all so darling! Sugarpea Designs is so awesome!! Such sweet projects today. Your tag makes me want to play with this tree stamp, but I also love Amy's bold and graphic look combined with the felt. I am inspired that a small tag can have a big impact. This entire event inspires me to go small. These are all gorgeous! LOVING that little elf from Ardyth!!!!!! I love the gingerbread house and it inspires me to practice my coloring. Another day of really cute tags! 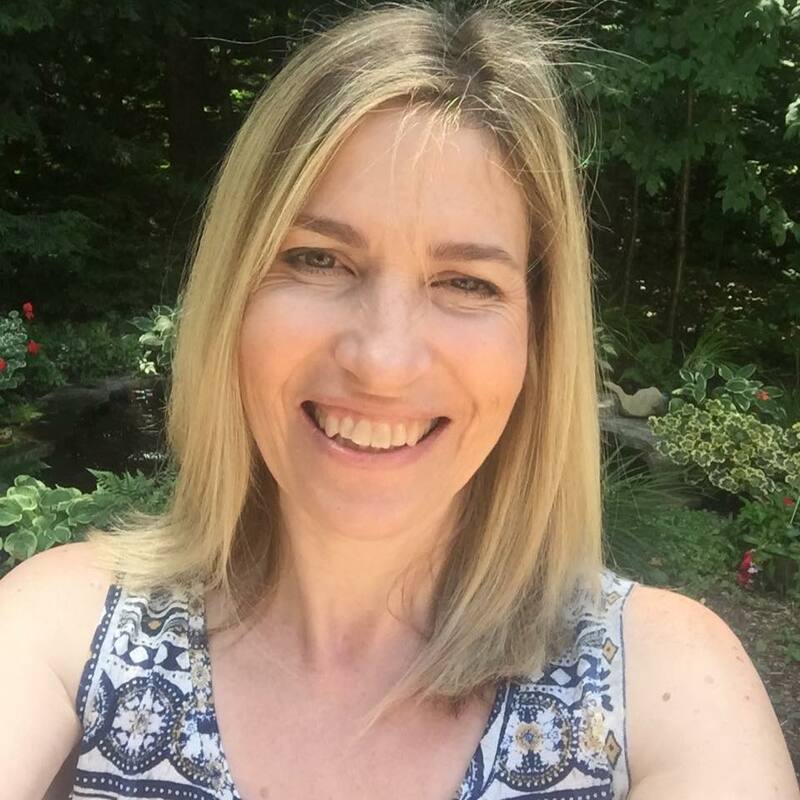 This is so much fun and sometimes I just look back through previous days to remind myself of all the inspirational ideas there! Thanks so much for sharing these great tags! 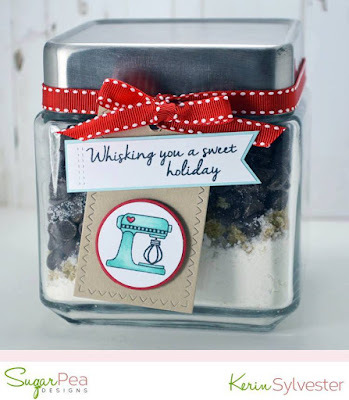 I love Sugar Pea Designs and all the pretty tags everyone created! 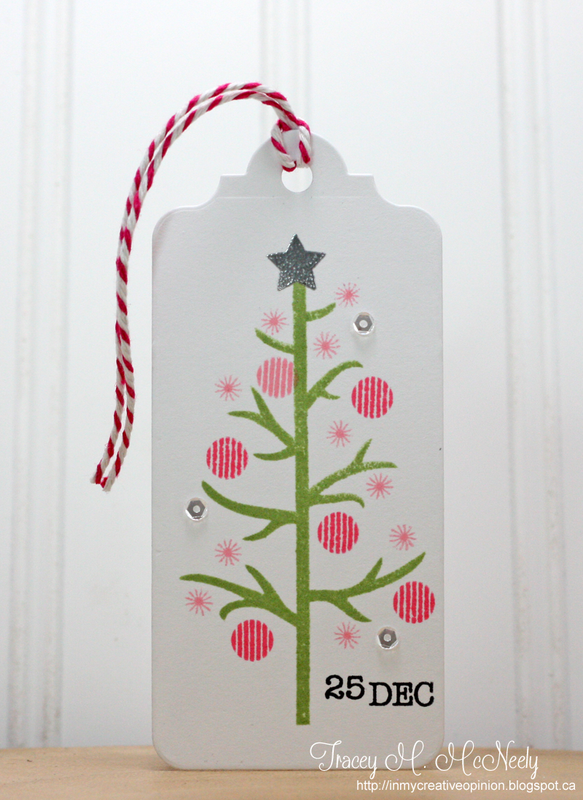 I especially like the sweet sequins you added to your petty tree tag Tracey! These are all sooo cute!! How SWEET is that gingerbread house? !...Love it! These are all very cute tags! All of the DT are very talented. Thanks for the ideas. Today I was inspired by the copic coloring (and all the coloring!.) The talent of these crafters is amazing and I can learn so much by looking at their choices of colors and shading on the images. I also love the wide scope of the colors showing that there is so much more to the holidays than traditional colors! Lovely! Today I'm inspired by the tag that Kerin Sylvester made. I need to remember to look at the other stamps I have that can be used on Christmas tags. Thanks! These are all fabulous! Loving the details especially on the coloring of some! Such fun tags! Love that cute gingerbread house! Love all the different styles of tags. 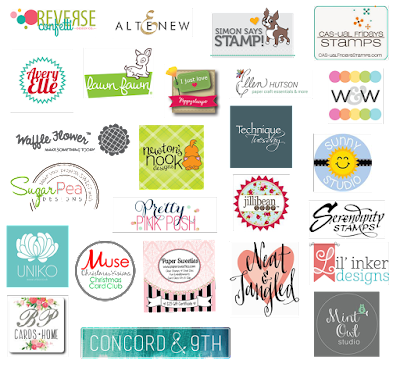 Gorgeous tags featuring fabulous SugarPea designs! 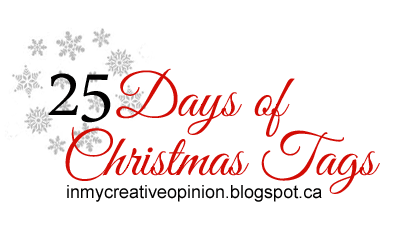 Today's inspiration: the nativity scene, the shepherd, the tree: images I associate with the 'essence' of Christmas! Oh wow! Such delightful tags!!! I love the cuteness of all of them! oh my these tags are adorable.. thanks for the inspiration. 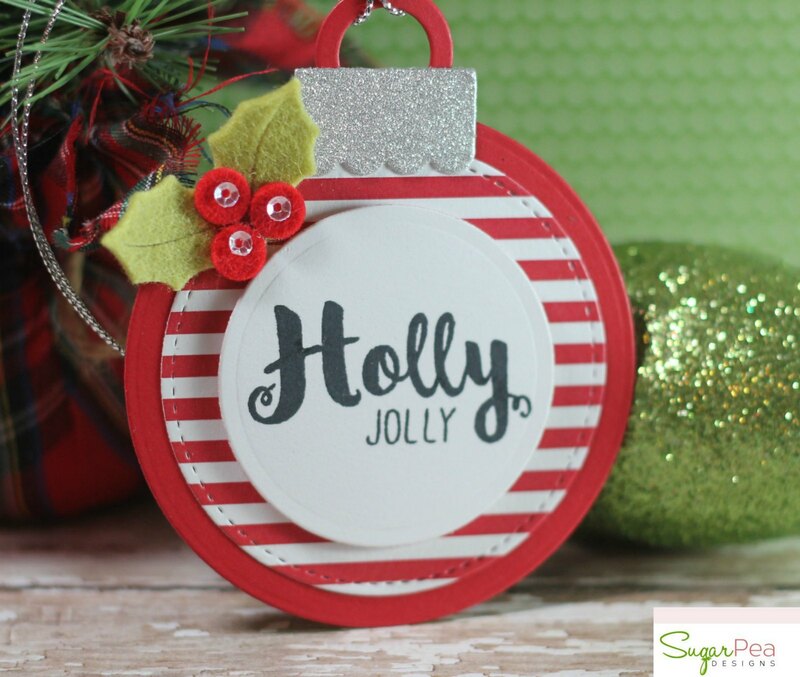 Love the elf circular tag with that awesome glitter-y paper. Glitter ALWAYS inspires me. 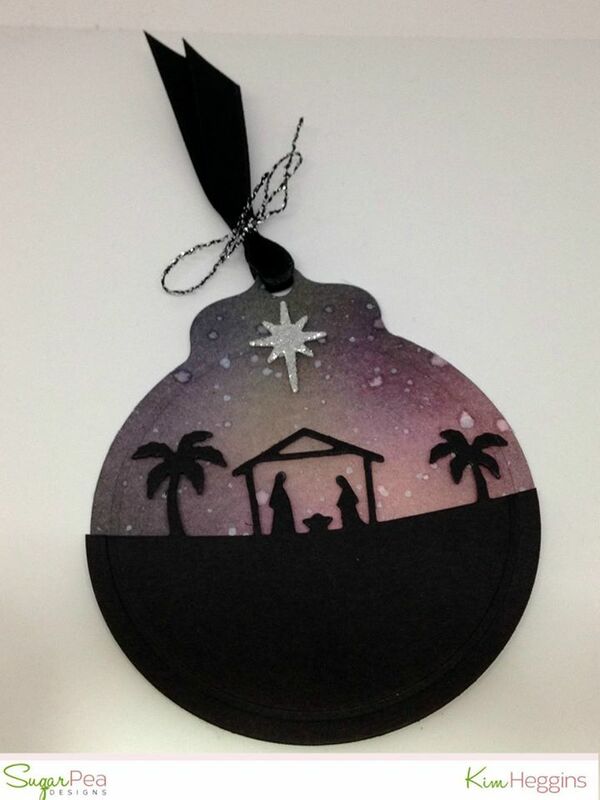 I really like Kim's nativity scene done in silhouette with the great inked sky. Amy's ornament tag is the cutest ever-love it!! Fabulous tags all of them. LOve the round holly one best. Great tags again today. I love the mixer tag for holiday treats! Lots of fun inspiration from the SP design team! I'm going to have to try sponging a sky as beautiful as Kim's. WOW! Y'all knocked it out of the park--all of them are inspiring and they cover all aspects of the holiday season and Christmas! Oh wow, I love them all!! Wendy's tag has stolen my heart today!! The little shepherd is adorable, but I'm most inspired by the clean fresh tag you made Tracy. Great tags. My fave is the shepherd boy. I am inspired by Ardyth's card. I wanna make one with this cute guy. Gonna pull out this set and get to work. I love how you used Simonne's stamp set Tracey. Just love it. Love the graphic Christmas tree in your beautiful creation, love them all, so inspiring! Wonderful variety--really love the one with felt! I'm inspired by Kim's ornament with the nativity scene! It's the true meaning of Christmas! Inspired by your tag today Tracey. It's simple & beautiful. Oh my goodness, whats NOT to like? Tracey, I love your sweet tag! I don't know how you keep up! This is a really cute little tag. I do like that fun tree! Love those shaped tags!! So fun! Ooh!! Such cute and adorable tags!! I'm very much inspired to create circular tags today! All of these tags are so sweet!! I especially love Amy's ornament tag with the felt details!! Gah! All of these are so cute, so inspired by the coloring of these cute images! These are all wonderful tags, but I think it's yours that I will be CASEing, Tracey. SPD has such sweet images...cute tags! Loved Wendy's shepard and sheep tag! Love the pop of felt. 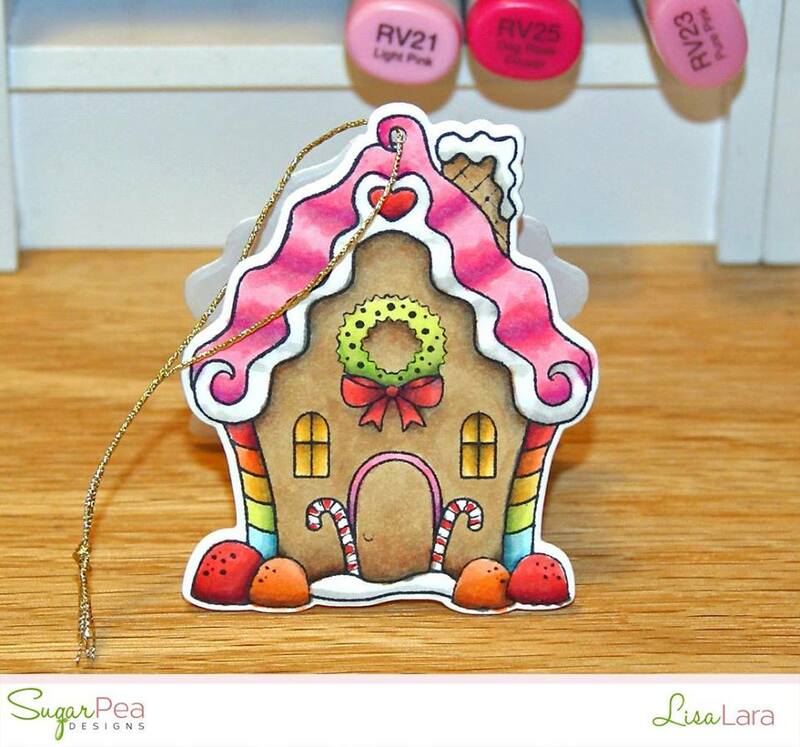 Sugar Pea has the cutest Christmas tags! I love your Christmas tree design, Tracey! So cheerful! Ohhh Tracey lots of inspiration today. Love the beauty of Wendys colouring and the wonderful bauble die and colouring of Ardyths. So much inspiration. How cute! Kim's tag is a real stunner! Honestly, all of the tags are so spectacular that it's impossible to choose a favorite. However, the adorable elf with the lights really caught my fancy! So many sweet designs! Love your charming little tree and Wendy's adorable shepherd! Kim's night scene is stunning too! Soooo many beautiful tags! Kim's tag was mui inspirational today! Delightful tags! Wendy's coloring of the little shepherd boy is amazing! The gingerbread house is my favorite! Looks good enough to eat! depending on the recipient. And I love the date stamp. Very wonderful tags. I especially love your festive pink and green tree. Oh how I love that gingerbread house! So colorful and cute! All great designs - I love gingerbread houses! The little gingerbread house is especially sweet! All adorable but my favorite is the gingerbread house tag. Great tags especially the drummer boy. Gorgeous coloring and I've always loved the elf! Adorable. wow! gorgeous tags :) I love the night scene created by Kim... it is so so pretty!! Great projects. I love your tag Tracey, very very inspiring. The two night sky backgrounds are amazing! I love baking gingerbread houses so that tag sang out to me! What a great idea! 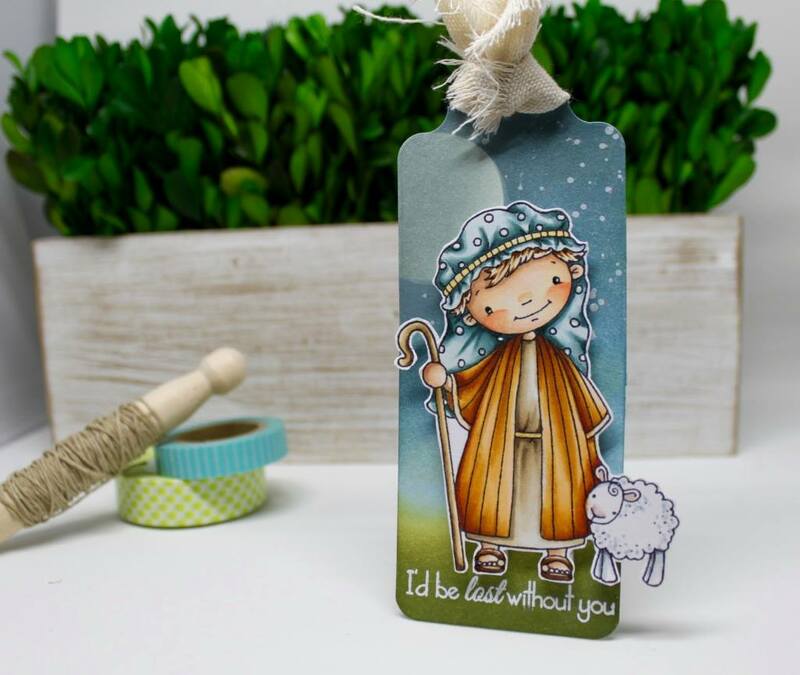 The nativity tag is my fave - so beautifully done! i made a tag inspired by ardyth's cute little elf holding up those bright lights, but all the tags are beautiful! Beautiful tags but I'm absolutely mesmerized by the Shepherd Boy! What gorgeous coloring! Tracey's tag is simple and beautiful. I also like the idea of using sparkling paper as a layer behind a tag. SO much adorable-ness! Lovely colors/coloring!